Ten years ago it was enough to give up meat to show you cared. Nowadays we are all trying to become more conscious consumers, ensuring that our products are ethically and sustainably sourced. The marketing potential for brands is huge, but go cautiously argues The Restless CMO. The market for sustainable brands has soared in recent years. 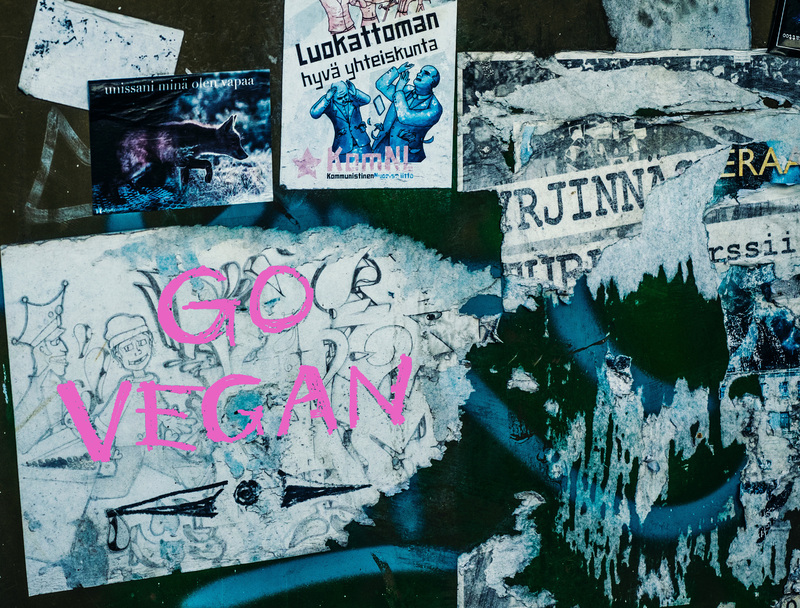 In 2016 the IFH Cologne reported an average annual growth rate of almost 17% in sales of vegetarian and vegan foods in Germany, with over 25% revenue growth between 2014 and 2015. In 2017 Unilever announced that their sustainable brands – which include Hellmann’s, Ben & Jerry’s and Dove – delivered more than 60% of the company’s growth in 2016. In 2015 publishers Naturkosmetik declared that more than € 1.1 billion was spent on natural cosmetics in Germany and that they expected an annual growth rate of around 10% by 2019.
Who does sustainability appeal to? Jörn Marc Vogler, cofounder of all-natural dietary supplement Veluvia, points particularly to Germany as fertile ground for the conscious living trend. The German population has always paid historically low prices for groceries compared to other countries, he argues, and, after food scandals and reports of animal cruelty came to light, German people in particular began to question the quality of what they were consuming. “The German population started to ask themselves why they were paying more for motor oil than they were for salad oil”, says Vogler. Conscious consumption not only benefits the planet, but brands’ long term relationships with their customers. Recognizing that their target group was interested in sustainability, upscale outdoor brand Patagonia has always put its authentic ethical credentials right at the forefront of its marketing strategy. 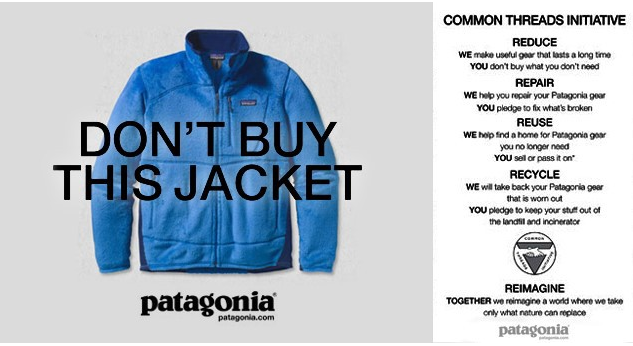 On Black Friday 2011 via urban billboards Patagonia told its customers “Don’t buy this jacket”. The advertisement talked about the cost to the environment of one of the company’s jackets and instead asked customers to opt for a used Patagonia product. "Behind its unusual marketing tactics lies a desire to forge long-term relationships with customers through shared experiences, beliefs and values", said Craig Wilson, Patagonia's former lead strategic for consumer marketing. In spite of this, or perhaps because of this, the company saw its revenues grow about 30 percent to $543 million in 2012, followed by another six percent growth in 2013. But beware: marketing your brand as ethical holds you to a higher moral standard, one which companies occasionally fall short of and this can lead to an even bigger shitstorm. 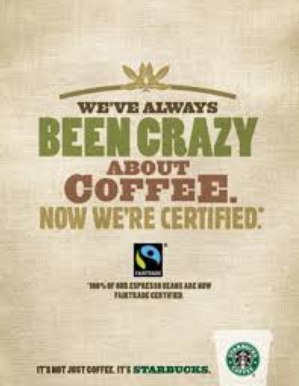 Starbucks has many certificates to prove its sustainable credentials and has not been shy of shouting about this in their marketing, but accusations of tax avoidance abound and cause many to question the company’s true ethical credentials. In the UK, the press had a field day when a former chairman of the ethical bank Co-op was found to have been using drugs and sending sexually explicit emails while at work. Bad publicity for any brand, but particularly one that styled itself on fairness and honesty. Reaching the conscious consumer – is it worth it? “Absolutely” says Colibri CEO Riola, “It’s a growing movement so our product fits perfectly into the zeitgeist. It allows us to combine our convictions and passions with increased profits – a double win!”. There is also evidence that conscious consumers appear to be less price-sensitive. Indeed studies have shown that consumers are prepared to pay slightly more for conscious products such as fair-trade coffee. In the skincare market, Colibri’s Marketing Manager Lorena Marcella Mastrobattista states their pricing is fairly irrelevant to their customer base, many of whom would pay double for a good quality, natural cosmetics brand. “Rügenwalder Mühle has a vegetarian product line for example. I don’t even want to think how many chemicals and additives are in those products”.